Several residential and commercial properties in California were built using popular galvanized piping. Over time, this can result in yellow water, rust and even cause your water to have a metallic flavor. Left unattended, this can also damage sinks, toilets and bathtubs because of the high mineral content. This corrosion can lead to long-term health issues due to the high iron content in your water. If you own a home or business in Downey, Pico Rivera, Long Beach, Paramount, Commerce, South Gate, Lakewood, Bellflower or other areas of California that still have galvanized pipes, call Downey Plumbing and let us work with you to re-pipe your facility with copper piping. Not only will this allow you to enjoy clear and clean water, but over time, it will also help protect your sinks and toilets. Enjoy fresh drinking water once again without spending hundreds of dollars a year on bottled water. 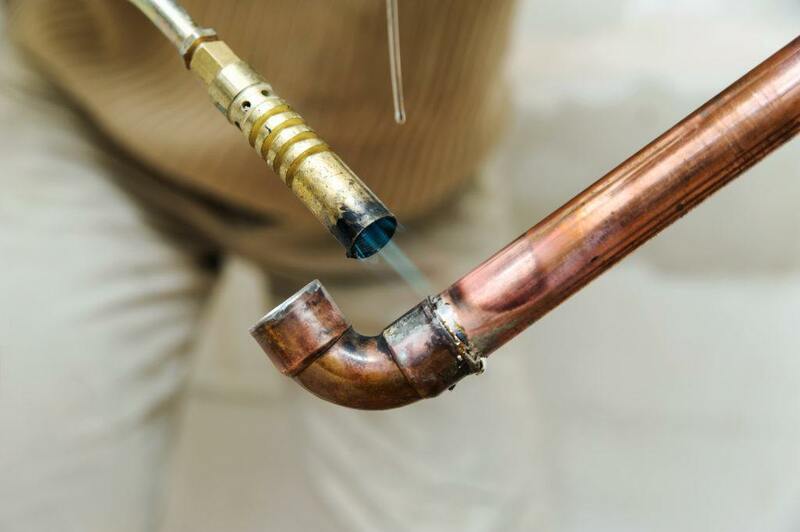 Downey Plumbing has expert copper re-piping technicians ready to help at any time. We will provide a technician who is well versed in all of the most modern techniques of copper piping and will help you get the work done expertly, at a price you can afford. All of this work is backed by our guarantee of high quality workmanship and service. Call Downey Plumbing today if you are considering copper re-piping in your residential or commercial building. We provide copper re-piping services all over the cities of southern California. Presently a lot of homes have defective and leaky pipe systems. This is caused by accumulation of mineral build-up and corrosion after years of continuous use. If that’s the case with your pipes, it will be wise and cost-effective to have those old pipes replaced with modern copper pipes. Since copper piping has been in use for decades, the metal has proven to be durable, flexible and easy to install – especially if you compare copper pipes to iron ones. Copper is also a biostatic material, making it practically impossible for bacteria to grow inside of it, which is an important health concern. Copper can withstand corrosion (although it corrodes if the water is too acidic) and is not affected by ultraviolet rays, meaning that it can be used for outside needs. Contact our experts from Downey Plumbing Heating & Air Conditioning if you need to arrange a repiping project of your whole plumbing system in case if it is too old or damaged. Our plumbing specialists will offer helpful hints on your repiping project or undertake it completely, making your dream home a reality! Copper piping is used not only for water pipes in your plumbing system. Drainage and vent systems, heating systems (including solar), oxygen systems and fuel oil systems can all profit from copper piping. Copper piping can even be inserted in concrete! When do You Know that You Need Copper Repiping at Your Home? When you get scalded in the shower if another family member turns the faucet on in the kitchen. When you notice a rapid increase in your water bill. When the water pressure is considerably low. When there are leaks in your pipes. All the signs point out the need for copper repiping. 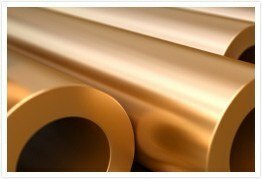 Copper will be a perfect choice since it is a natural and dependable material, that does not corrode easily and fire-resistant. Repiping your home gives you the opportunity to take a shower without getting scalded, water your lawn, wash dishes and do your laundry avoiding unpleasant surprises. It also allows you to use all your fixtures at the same time since repiping gives enormous water pressure. Call Downey Plumbing Heating & Air Conditioning – your repiping experts – today and rest assured that your repiping project will be taken care of completely. Galvanized or iron pipes that have been installed in houses of 25 years and more are going to create a number of problems over time. You may have noticed that your running water got this filthy smell to it and a corrosive layer has formed around the pipes. If left untreated, these issues will eventually lead to rusty water (as well as its decreased flow) and leaky pipes. If that’s the case with your plumbing system, one home improvement that you should do this year is copper repipe your home. Why copper? Copper is one of the most accepted metals for repiping your home. It is durable, reliable, resistant to corrosion and bacteriostatic. It’s also flexible enough to be curved in comparison with using joints. Copper has even more advantages and can spare you serious plumbing problems in the future. Why repiping? If your pipes leak, you may be paying more on your water bill than you consume. You may also have water damage inside your walls and not be aware of it. Copper repiping professionals from Downey Plumbing Heating & Air Conditioning will undertake the entire repiping project for you. Repiping your home usually takes a couple of days. Our plumbers will come to your door and estimate the project with you, also showing you in what places your walls will be damaged to access the pipes. No matter if you are experiencing problems with your current pipes or want to avoid plumbing problems before they arise by copper repiping your home, you would want to find a copper repiping specialist that has the experience of dealing with copper. Downey Plumbing Heating & Air Conditioning is the right place to go to, so contact us today!